Thousands of people in Ireland are affected by mental illness, with 1 in 4 people being directly affected by it at some point in their lives. Stigma around mental illness remains a huge problem for sufferers, many of whom feel isolated from those around them. Working alongside local agencies and groups, the cornerstone of our work is continuous opposition to and the elimination of any stigma associated with mental health problems, emotional difficulties and behavioural issues. 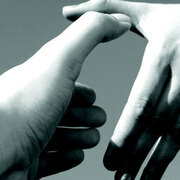 We vigorously endorse evidence based talk-therapies as suitable treatment to ameliorate mental and emotional wellness. Working alongside our local community connections, we actively promote highest standards of professionalism within Mental Health Care. Our service provides: immediate access to psychological therapies; education for individuals to develop self-help strategies and positive coping skills; community workshops, lectures and courses; assistance in training for those involved in the study of counselling and psychotherapy; and continuous professional development programmes.